Our Dry-Packs Moisture Barrier & Static Shielding bags supply some of the lowest Moisture Vapor Transmission Rate (MVTR) available in bags on the market. 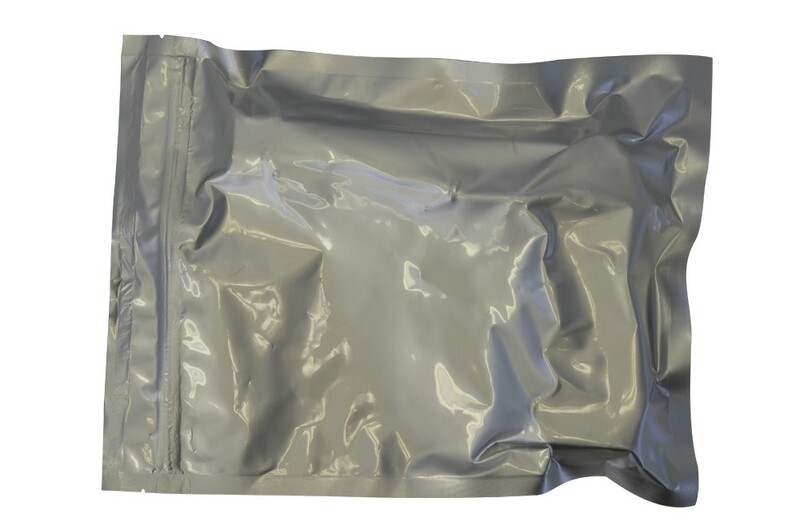 Our Dry-Packs Moisture Barrier Bags with Static Shielding are made from multiple layers of metalized polyester and dissipative polyethylene. The flexible structure makes it is easy to vacuum seal and is recloseable with a built in zipper! Our Moisture Barrier and Static Shielding recloseable bags are one of the superior moisture resistant bags in the industry. A great anti-corrosion storage solution for metal items. USES OF PRODUCT: Store products in this aluminized heat & vacuum sealable zipper seal bag with a packet of Silica Gel to protect against moisture damage. This size bag fits most Handguns, a great anti-corrosion storage solution.